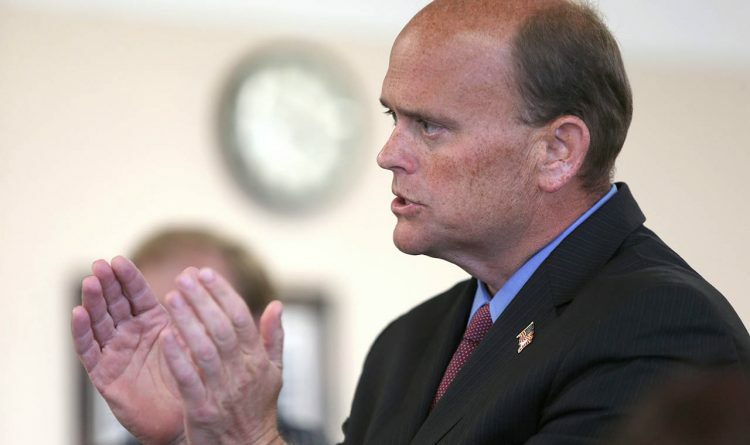 By many accounts, Rep. Tom Reed of Corning should be wallowing in a minority funk ever since his Republicans lost the House of Representatives last fall. And to a degree, he is. But something else is at work these days for the former mayor of Corning. He co-chairs a bipartisan group of 46 members of Congress called the Problem Solvers Caucus, and their aim is to – well – solve problems. And because the group is willing to at least talk about crossing party lines to tackle issues – and because the caucus is larger than the Democrats' margin of majority – it’s gaining attention in Washington. Democratic Speaker Nancy Pelosi, for example, attends Problem Solver meetings. And the group convened a few weeks ago in the Situation Room of the White House. That 90-minute session indicates the Trump administration also includes the Problem Solvers in its calculus. Reed’s Problem Solvers are not the first group trying to wield influence. Even when his GOP controlled the House, hard-right conservatives in the Freedom Caucus often flexed their muscles whenever anything approached compromise. Just ask former Speakers John Boehner and Paul Ryan about their Freedom Caucus headaches. Ditto for the new Democratic Congress. Reed labels liberal Democrats like Rep. Alexandria Ocasio-Cortez of Queens part of the “Herbal Tea Party” as it tries steering the party leftward. And that’s the whole idea – maybe Problem Solvers will exercise enough influence to prevent veering into extremes on either side. From the start, they agreed to seek 75 percent approval of the group on their decisions, as well as 51 percent of both the Democrats and Republicans. Just this week the Problem Solvers Caucus, co-chaired by Rep. Josh Gottheimer, D-N.J., helped extend the 9/11 Victim Compensation Fund and restore full benefits to victims. The caucus led the way for more than 40 co-sponsors for the bill as part of the deal struck between the caucus and Pelosi to make it easier to pass bipartisan bills. Now Reed thinks the same approach could make a difference in top priorities of the new session: repairing crumbling infrastructure, addressing the high cost of prescription drugs, and fixing trade deals with Canada, Mexico and China. Still, all of this compromise stuff may sound too “rainbows and unicorns.” Could a new era of good feelings really be upon us? Washington reality may have already reared its ugly head. Reed notes that even lofty goals like compromise and achievement spawn problems. Many of his own Republicans are less than pleased about new rules that create a path for bipartisan legislation to arrive on the House floor. The idea is to prevent the far lefties and far righties from putting the kibosh on compromise. “I was persona non grata for a bit. It came with consequences,” he said. “But I went into it with my eyes wide open. “Consequences” – that is a key term in all of this. Reed will not say what they were, just that “consequences” are now part of his life in Washington. More may lie ahead. Primary challenges are almost certain to face some Problem Solvers as purists from both parties question their methods. 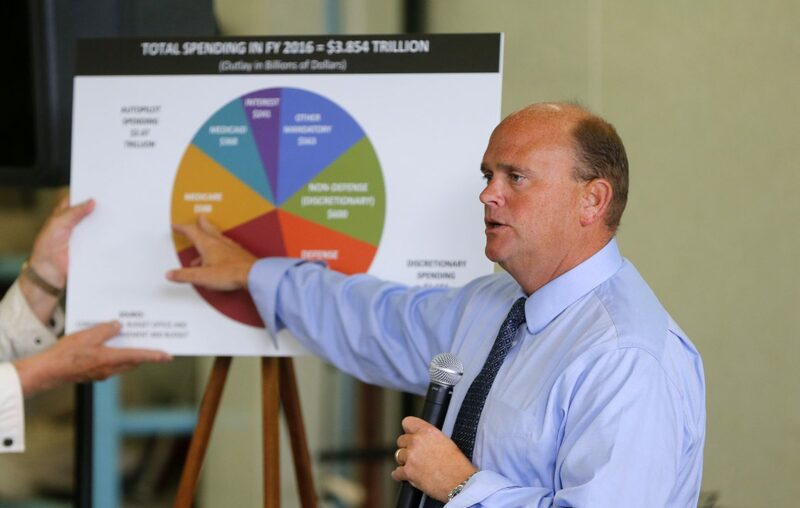 Reed may escape such a challenge, but a Republican in a more conservative district might fare differently. “If not for that organizational support, we would have been steam-rolled,” he said. Reed feels good about what the Problem Solvers are accomplishing. Many tests lie ahead, but the powers that be are at least paying attention.